Online Pipe & Cable Locating (Online Pipe) commenced operations in 1992. With more than 23 years’ experience Online Pipe has the knowledge, experience, and resources to support your project. Online Pipe has a team of trained and professional technicians who provide same-day service. All of our technicians have undertaken safety training and induction courses and regularly attend training sessions. We have our Occupational, Health and Safety system in place and work to Risk Assessment and Safe Work Method Statements. We are fully insured and carry Public Liability cover and Workers Compensation Insurance. Online Pipe has a large fleet of vehicles equipped to provide a wide range of services regardless of accessibility or location. 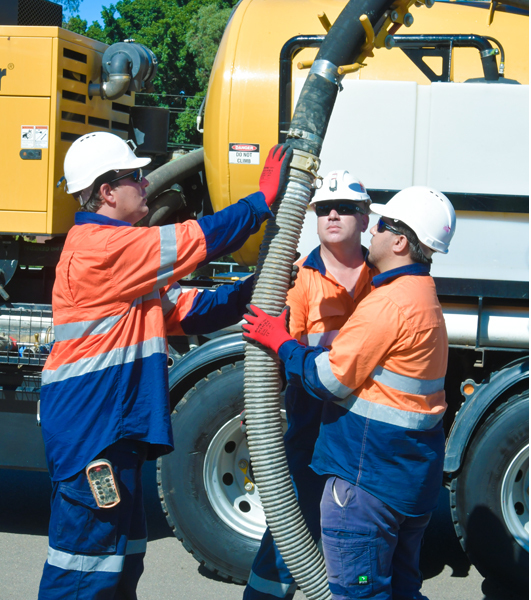 We have a range of hand-held locators and Ground Penetrating Radar devices; vacuum loading trucks with various water jetting and non-destructive digging capabilities and boom reach; a range of CCTV cameras to fit almost any sized pipes and drains; a variety of pipe freezing, smoke testing, and leak detection units; and a wide range of supplementary equipment to ensure the safe and efficient delivery of services. Quality services. Right job first time. Efficiency. Reduced hazards. Safe sites. Multi-disciplinary services. Ability to reach difficult to access locations. Shorter lead times and faster turnaround. Support. Project milestones are achieved. More than price it’s our expertise, reliability, and quality outcomes. Flexibility. Working with you now and when you need us.